I wonder if Shaq might get some action for this one. He seems to have completely disappeared off the radar. Come on you redmen ,Anfield under the lights buzzin . Very jealous. I won't even be home to watch this one, hopefully can pick up a stream. Need to batter them this leg and leave nothing to chance. He keeps being named as a sub so Jürgen must have some specific scenario in mind for him. Something involving needing a late boost against a team packing it in is my guess, but maybe even more specific than that. BT Sport tonight for this one - let’s do it!!! I've been thinking the same thing about Moreno coming in. He's a good footballer, but a poor defender (at this level) in my view, so I think it depends on how much Klopp thinks we'll have to defend. His pace would be good against the break, and his attacking play can be good, but Milner is more defensively solid I think. In what way is Moreno a good footballer? How many assists does he have, goals, tackles? I'm just curious what stat you are using to form the opinion of him being a good footballer because I think he is bloody terrible in every single meaningful way. Moreno seemed to be massively improved until he got injured but he is a Duracell bunny with one too many batteries in. I would love him to prove us wrong but it aint going to happen. With away goals being so important, I can’t fathom Moreno starting. Granted I haven’t seen much of him but what I have seen, the reward does not outweigh the risk. After looking at their projected line up, 69% of their goals and assists come from their back line and midfield. Am I wrong in thinking this is a recipe for disaster knowing Morenos propensity for being out of postition? Home game, we need a clean sheet, therefore we need to play an 11 without Moreno. Haha I was going to say something along those lines. Yeah, it's a UCL QF and after so many years without proper European football, I'd think I'd be so excited for tonight. It turns out I'm not that much. Of course I'll be when the game comes, but I'm so bumped for the league challenge that everything else takes second place right now. 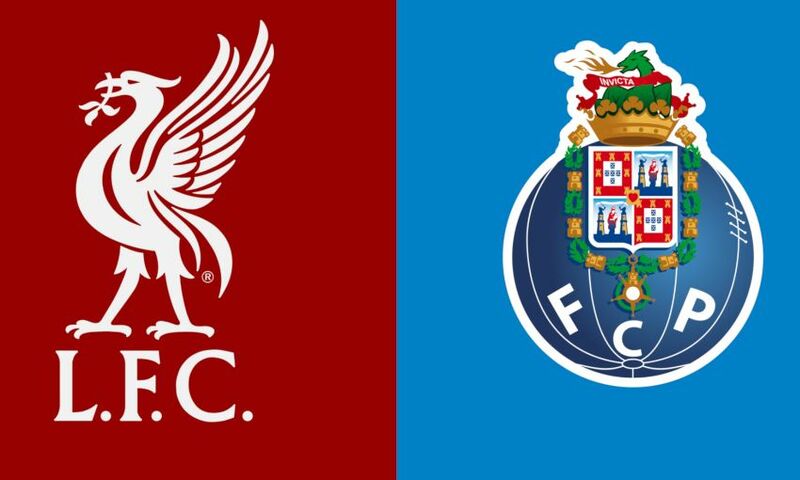 We should be more than good enough to beat Porto, but I'm sure it won't be like last season. I think Milner starts in place of Trent. *Edit Crap, just realized that Robbo is out....that does create a dilemma. Maybe Milner in for Robbo and Gomez in for TAA? Think Trent is fine, robbo's suspended. Millie in for Robbo ! Unless you've heard something more about TAA. ? I do this every time we get closer to a match. Have posed 3 - 0 in the prediction if i remember right, and now I'm going for 4 - 0. Come on you Red men. Gotta show some good form now for the run in ! I don't think we will see an all out attacking plan or mentality. Klopp will attack but will be very mindful of the away goal. They will sit in and try the odd breakaway so keeping an eye on our back door will be important. A two goal lead without reply commonly known as 2-0 would be a great result. Origi has been getting the nod lately. Shaq hasn't done much wrong but just didn't take the eye in his last few appearances, after a good start to his time here. Be very interesting to see the team selection. Looking forward to this - the PL is the priority for me but would be brilliant to get into the semi's. Don't take them for granted and go at them from the start. cant wait for tonight every game is just so special now. Team selection , not sure what jurgen has in mind with the Chelsea game coming up but we need to continue our fantastic run of form. Just that Trent hasn't been very good lately, I think he needs a sit down. He's been ok going forward, but defensively almost every team we play is singling him out and taking advantage of his penchant for wandering and not getting back. Don't think he'll leave Trent out. He did lack a bit of intensity V Soton and he needs to up the defensive side of his game but Klopp will be aware that benching him might knock his confidence. Careful handling required. Also could be TAA needs a few games to get back up to full speed after being injured.If Robbo had been available Klopp might've put Milly in for TAA but he'll probably play Jim lad at Left Back. Don't think he'll leave Trent out. He did lack a bit of intensity V Soton and he needs to up the defensive side of his game but Klopp will be aware that benching him might knock his confidence. He had a weird period on the pitch. Shane Long at one point was travelling about twice the speed of him, and then the next he was powering down the wing and pumping that cross in for Keita to head in. Not sure what was happening with him. Team selection , not sure what jurgen has in mind with the Chelsea game coming up but we need to continue our fantastic run of form. I don't think it's going to be a big factor the Chelsea game. 5 days between home games is as good as a week between aways I reckon! He has been very hit and miss lately, think Saints is one of his worst performances of the season, seemed completely out of sorts, one good ball in for Keita and that was about it. Id be shocked if he doesn't start with Robbo being out. If Robbo had been able to play then I think Milly might have come in for Trent in this game because otherwise we'd have Moreno at LB which wont happen...surely?